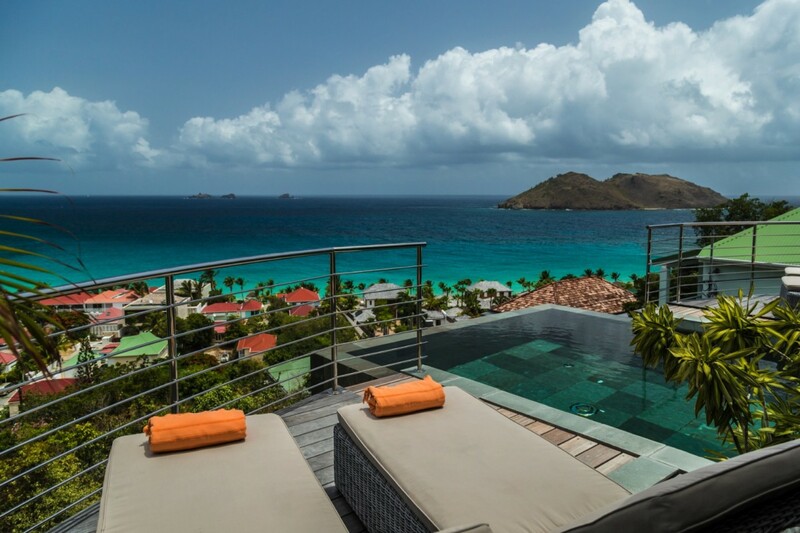 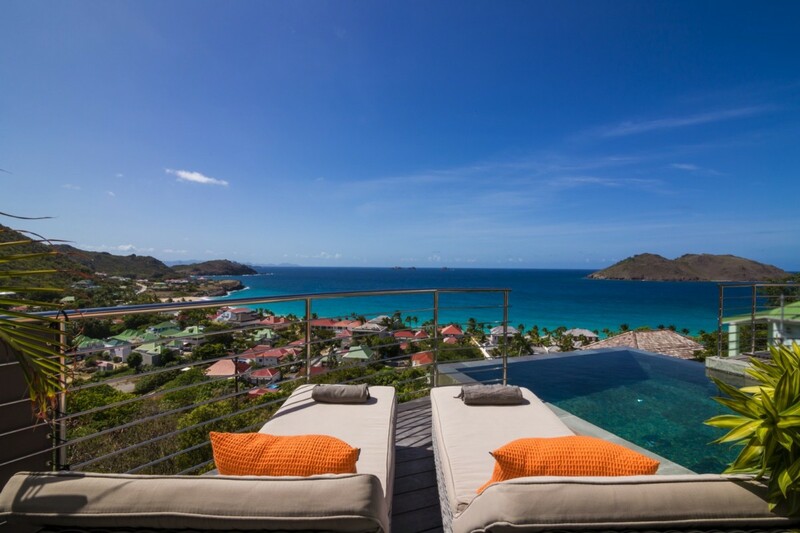 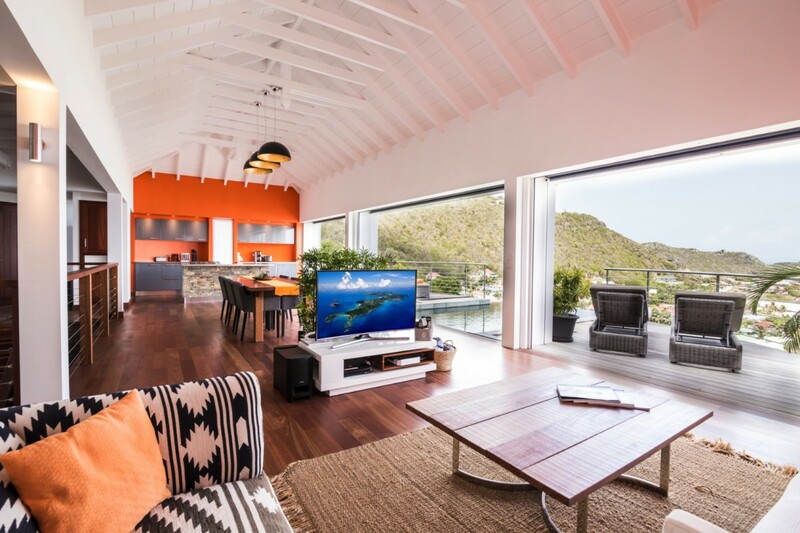 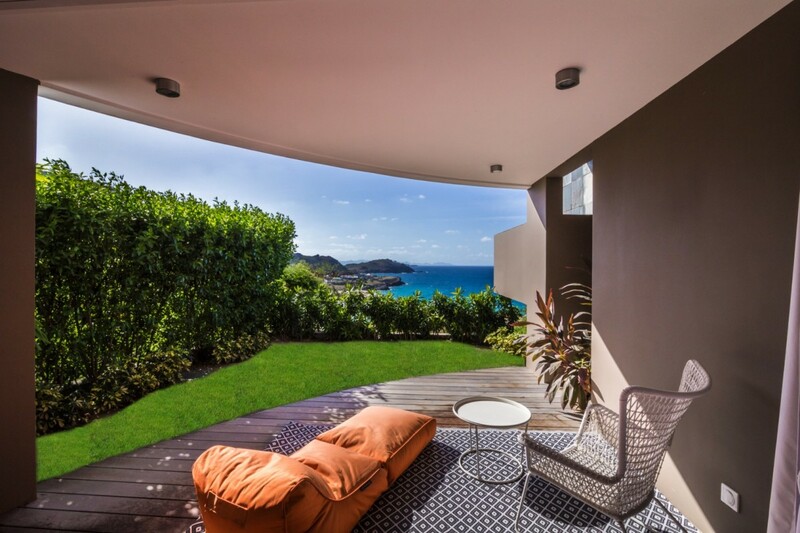 Tucked into the hills of Flamands on St. Barts, the impressive and newly built Villa Angel Home awaits. 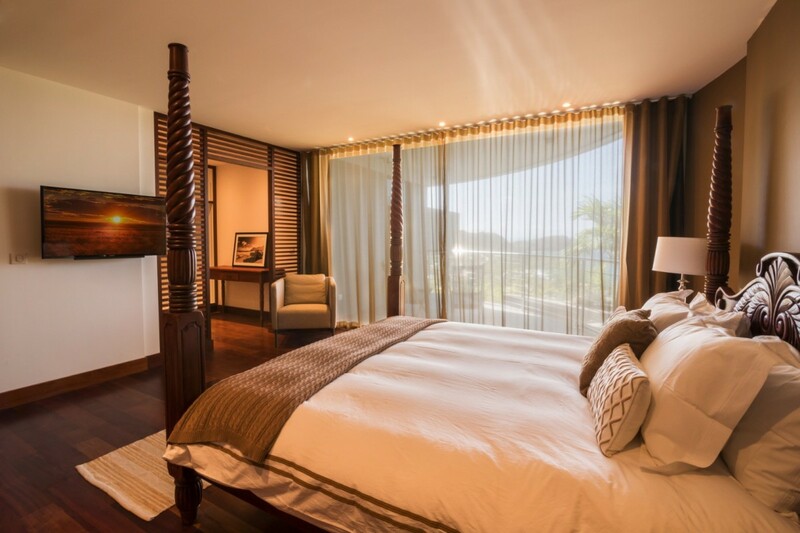 Designed with flawless style, it features two floors of indoor and outdoor living spaces and an array of amenities that might easily make it your only destination throughout your stay. 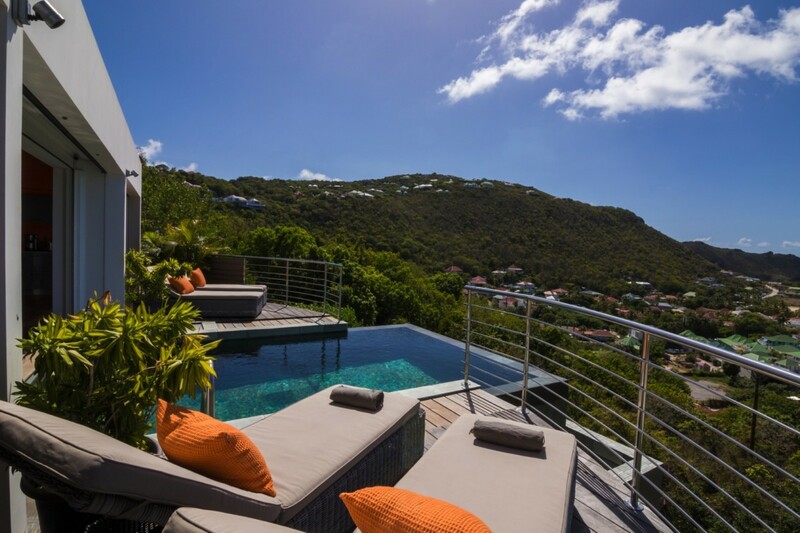 A two-bedroom gem, it includes a truly remarkable pool terrace. 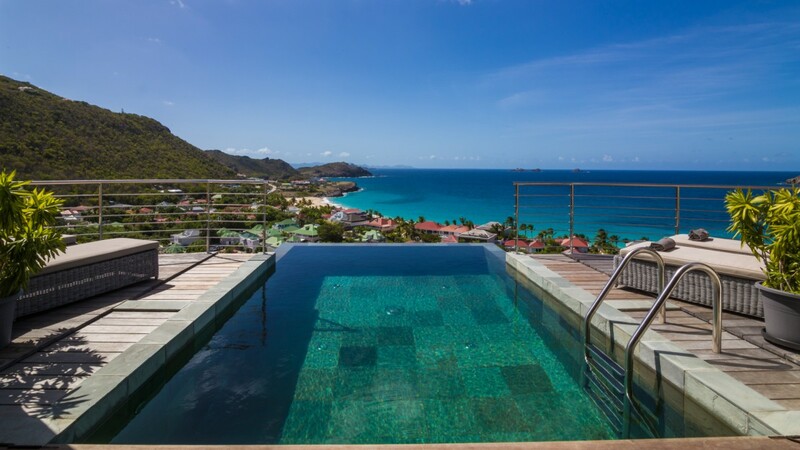 Framed by a weathered wood deck, the infinity-edge pool is designed using a patchwork collection of stone, giving it a truly unique appearance. 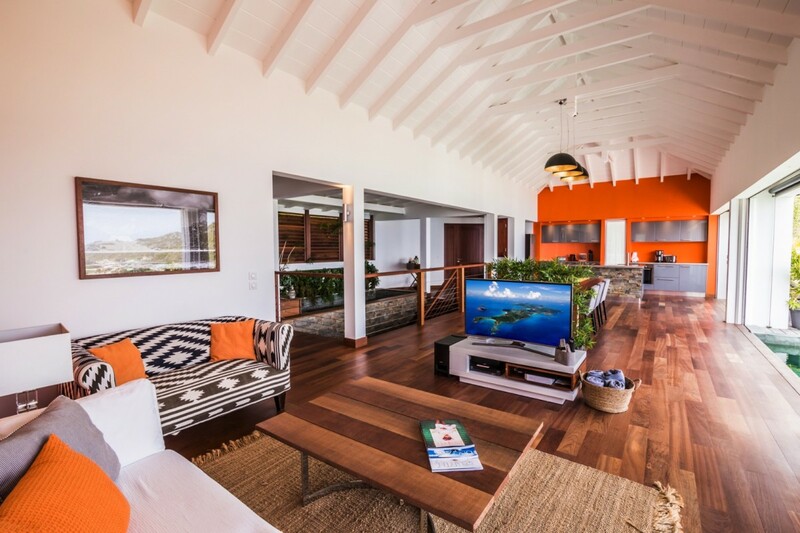 Gazing out to the scenery, it features sun decks on both sides, and these open into the upper level's great room. 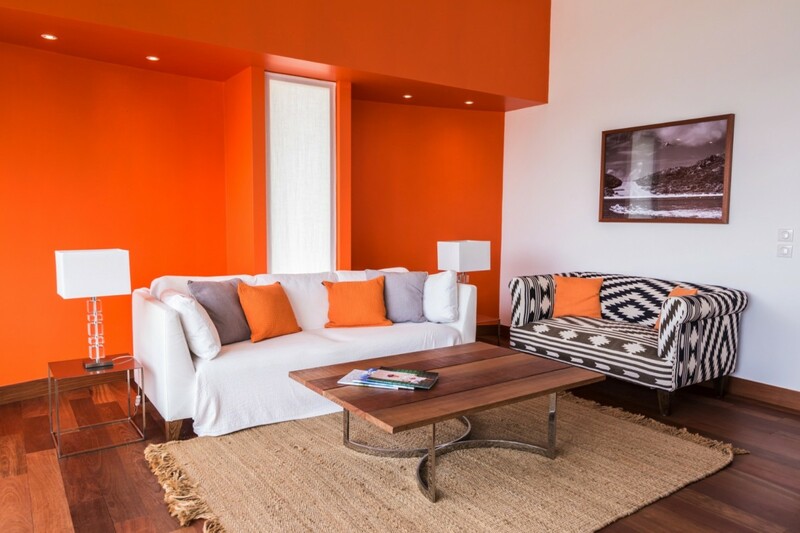 High, white wooden ceilings and beautifully weathered wood floors work perfectly with the unique palette of spicy orange, black and white. 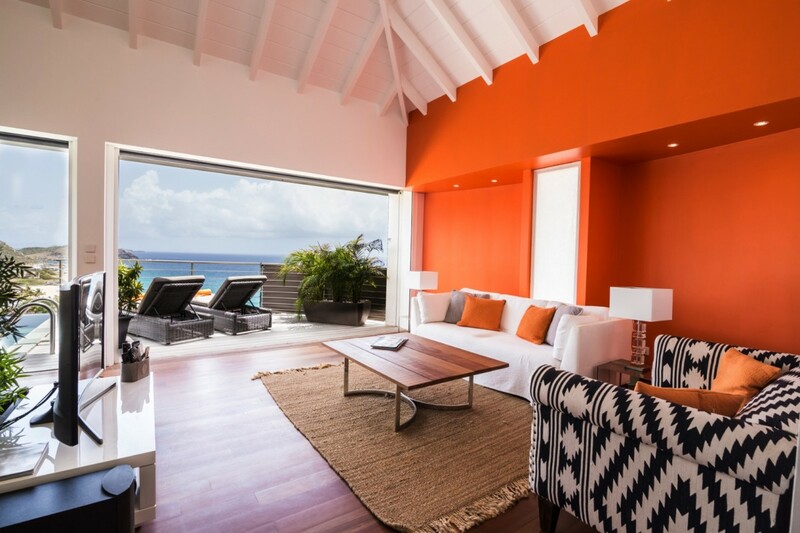 A contemporary but welcoming space, the great room looks out to the view through banks of glass doors, making it airy and bright at all times. 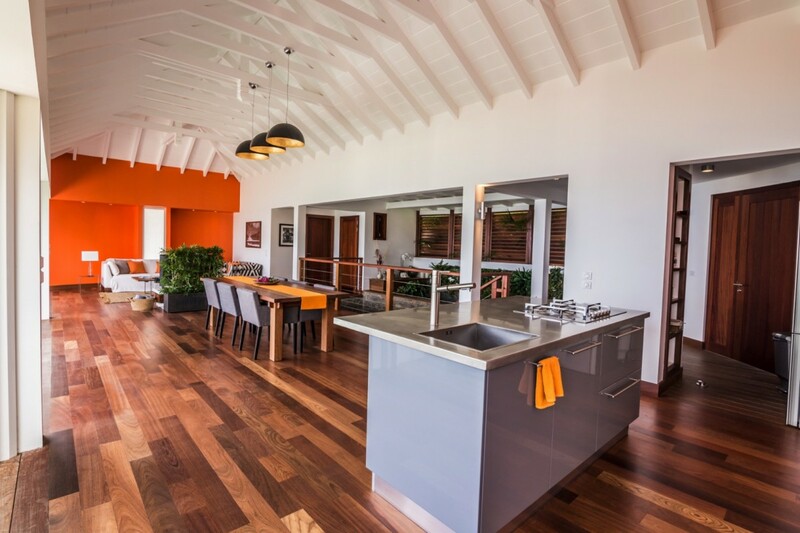 It features a casual and stylish living room, a trendy dining room with wine cellar, and the modern gourmet kitchen. 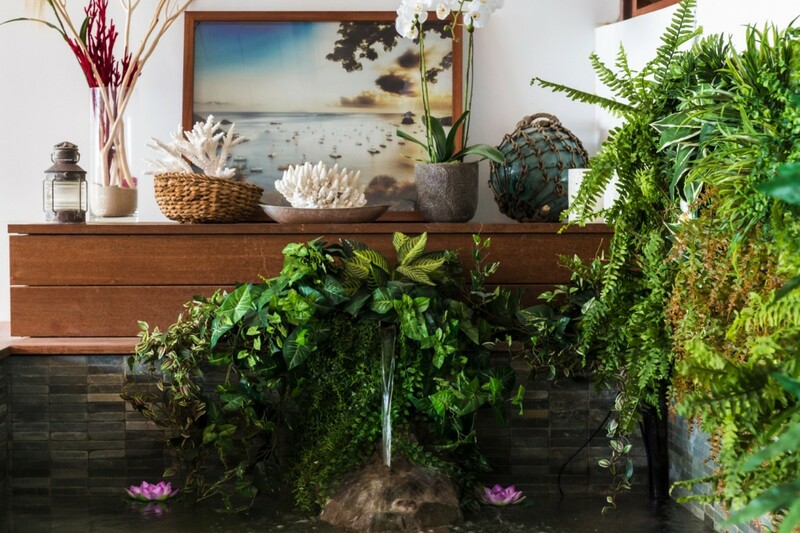 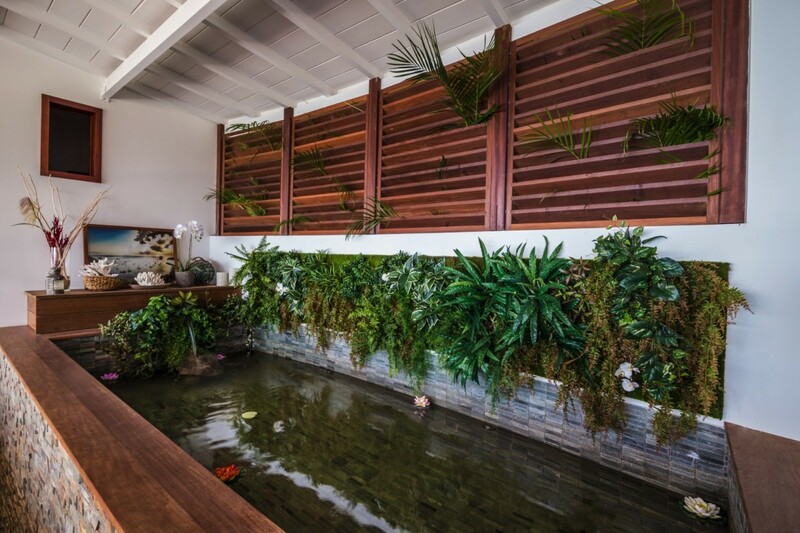 A mezzanine area features a beautiful indoor pond with water plants and small waterfall. 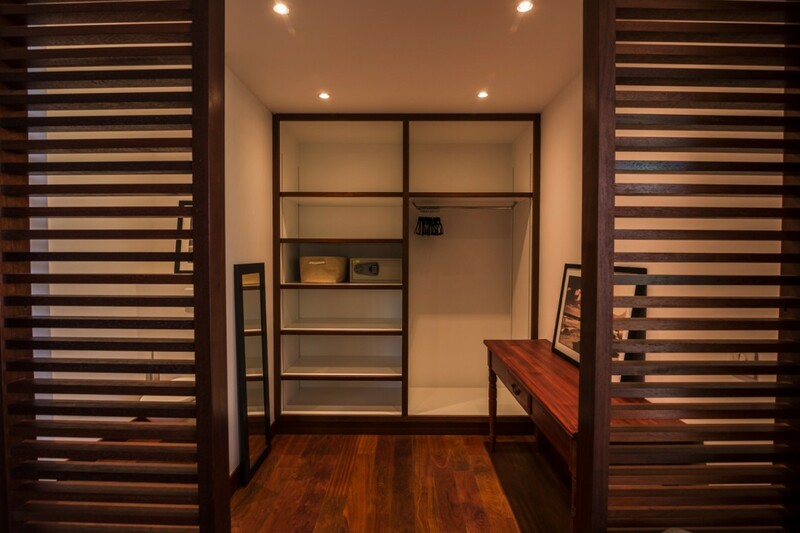 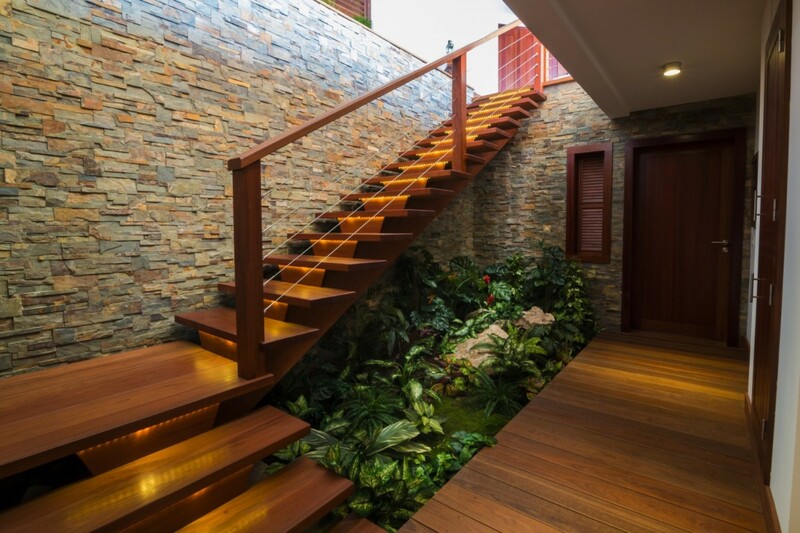 This tops the stairs that lead to the garden level and the two luxurious bedrooms. 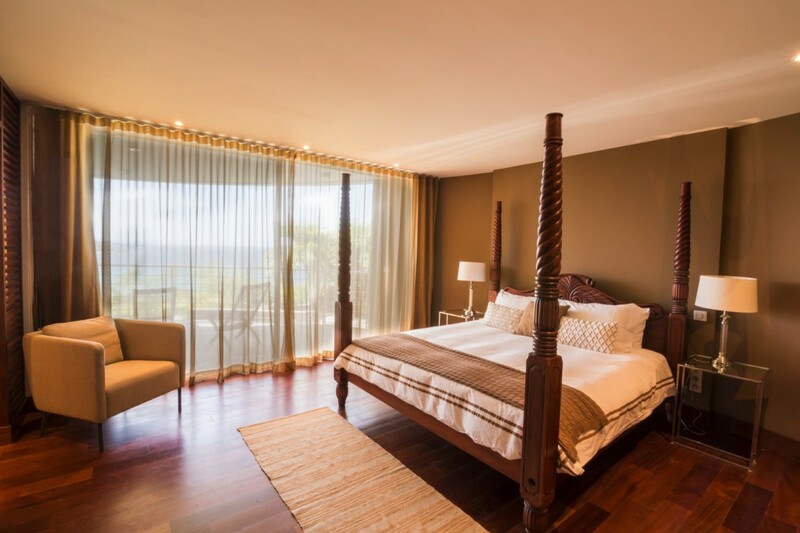 Both are oversized with separate sitting areas, four-poster king beds, and access to the gardens. 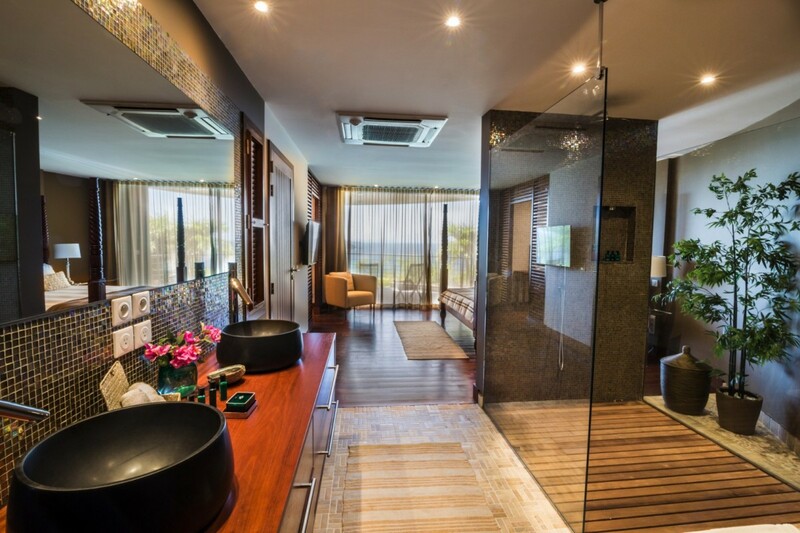 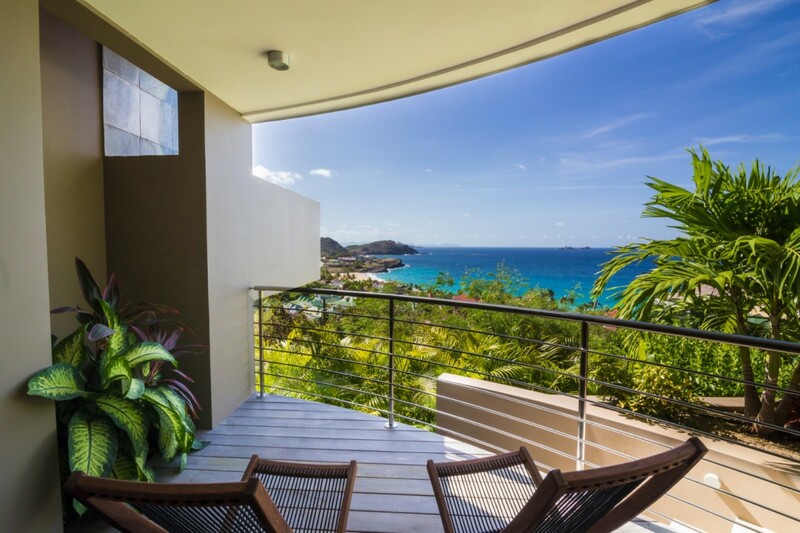 Both have private, furnished terraces with lovely sea views and each is equipped with an enormous ensuite bath. 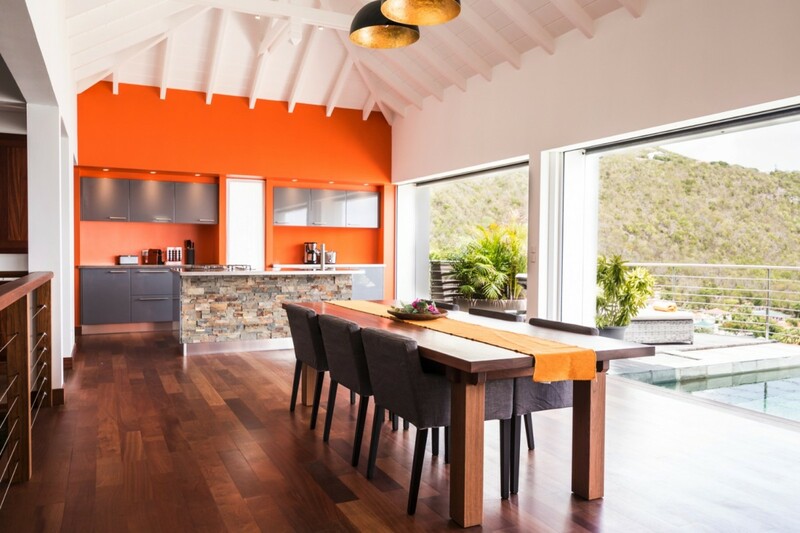 Whether you book it alone for a romantic retreat or take it with friends or family, the Villa Angel Home is a wonderful find. 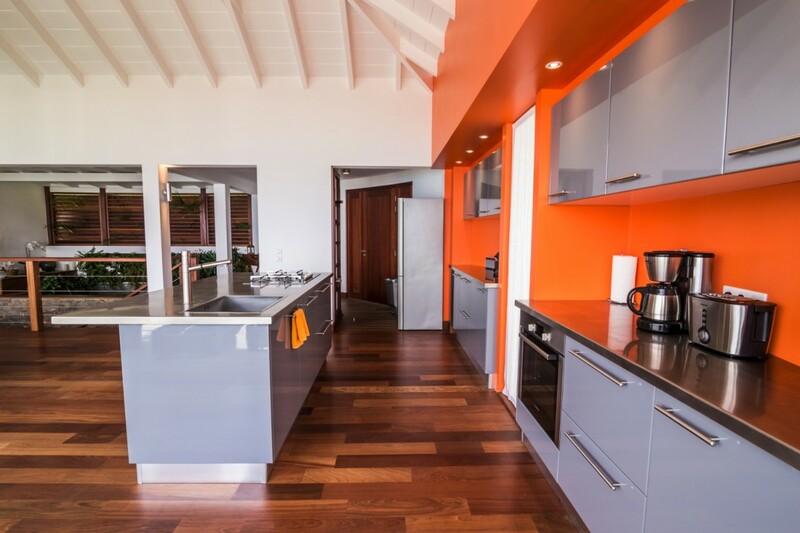 Just a short distance from town, it is easily a world all its own and is sure to please. 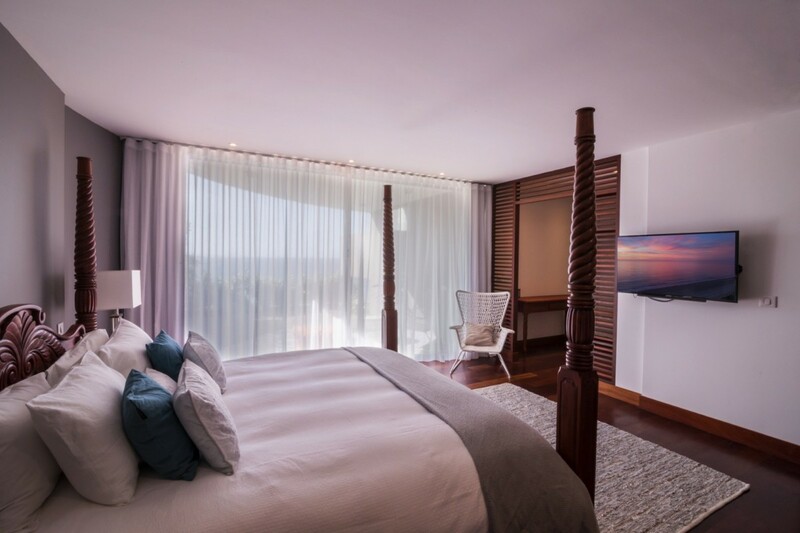 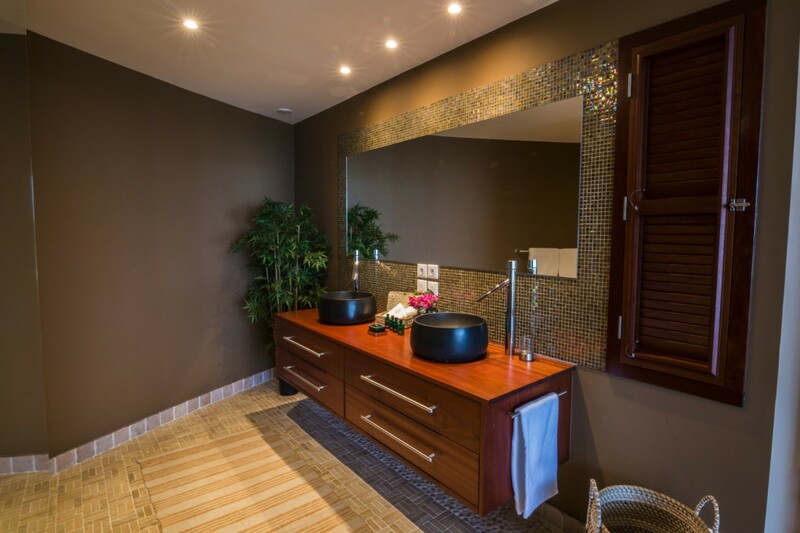 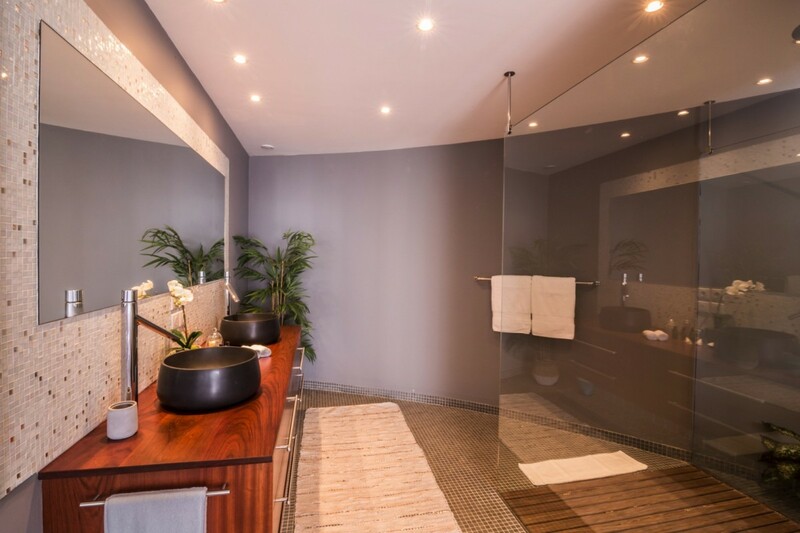 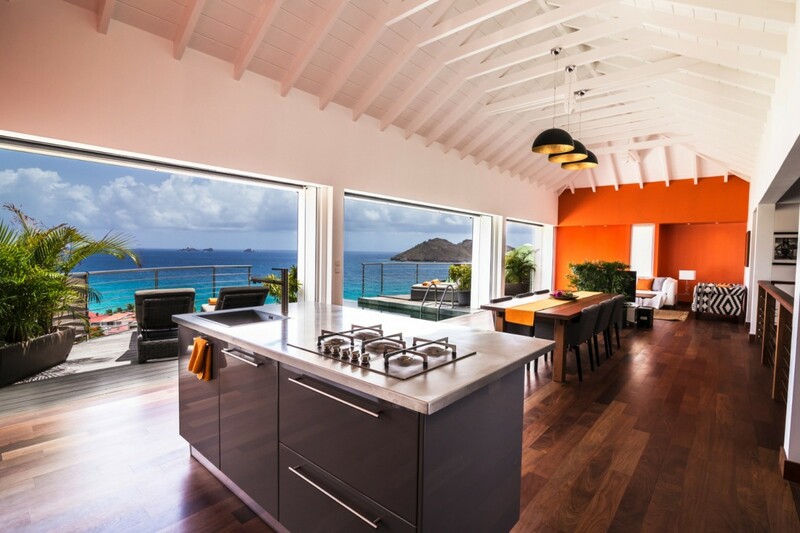 Its modern décor, airy design and generous number of shared and private, indoor and outdoor, living spaces makes it the perfect choice for those who simply want to savor the best of St. Bart’s scenery. 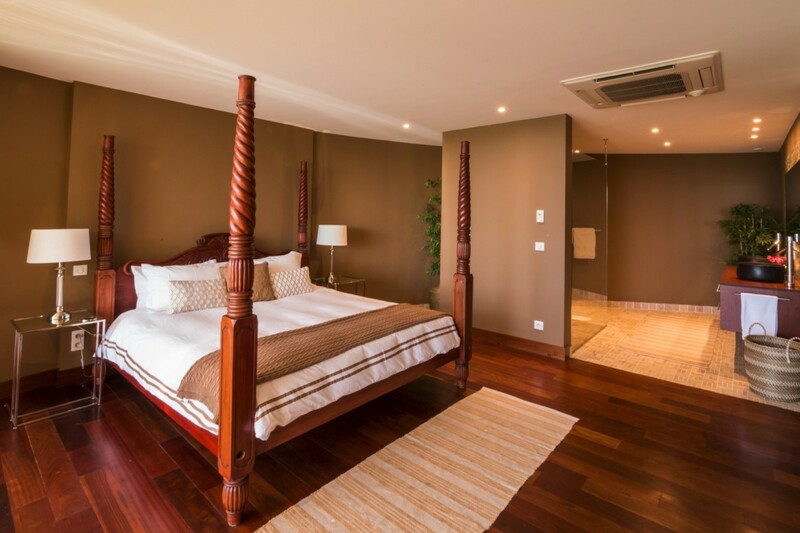 Bedroom 1: King bed, A/C, HDTV, US satellite, French satellite, iPod dock, safe, walk-in closet, private terrace and en-suite bathroom with rain head shower, double vanity, hair dryer, 110 volt outlets. 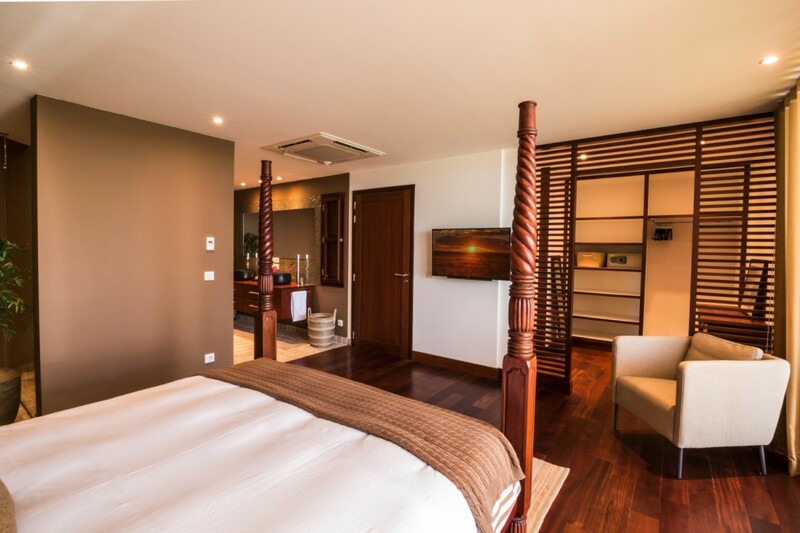 Bedroom 2: King bed, A/C, HDTV, US satellite, French satellite, iPod dock, safe, walk-in closet, private terrace and en-suite bathroom with rain head shower, double vanity, hair dryer, 110 volt outlets. 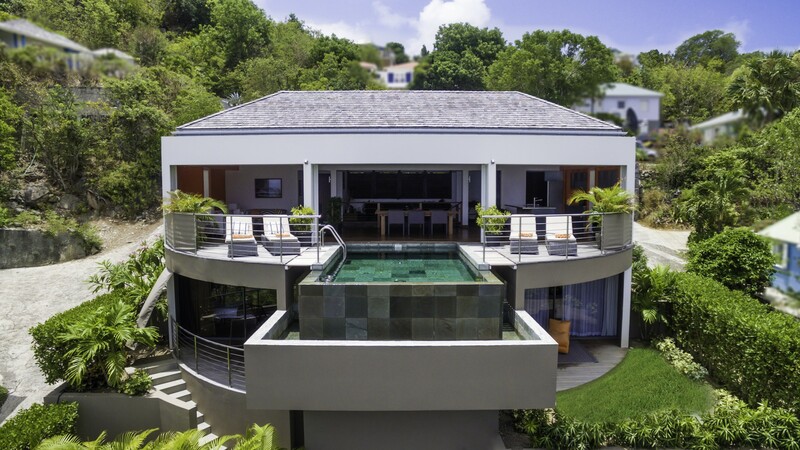 Amazing villa , great host .